Recently tens of thousands of school students demonstrated across NZ calling or action on climate change. 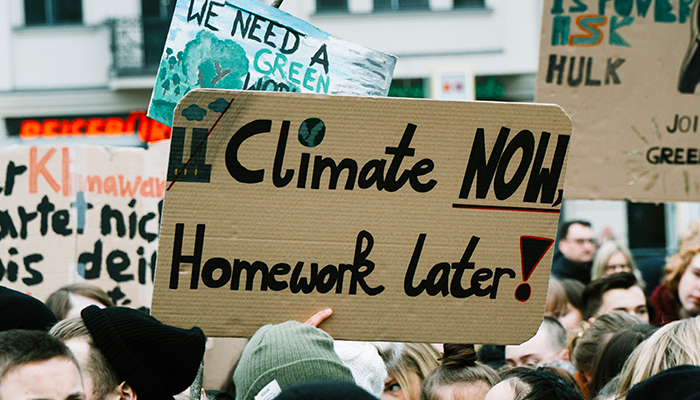 Strike 4 Climate movement, inspired by 16-year-old Swedish climate activist Greta Thunberg who has been nominated for the Nobel Peace Prize for sparking the international movement. It has been estimated that at least 1.5 million students participated in over 110 countries. The School Strike 4 Climate Action was the largest of its kind ever stages in New Zealand. We can do our part for the future of New Zealand when we choose our power provider. In 2017, 82% of the electricity generated in New Zealand came from renewable sources like sunlight, wind, water and geothermal heat. Globally New Zealand measure up fairly well when it comes to sustainability – as the fourth highest renewable energy supplier in the OECD. The energy generated by green energy providers goes into the national grid, along with power from other generators, who at any given time may be feeding in electricity from non-renewable sources. Use your voice as a consumer by choosing power providers that prioritise green energy. Powershop – Powershop is part of the Meridian group of companies. Meridian is a 100% renewable electricity generator, which generate their energy from hydro stations and wind farms. Meridian Energy – Meridian Energy are committed to meeting future energy needs with renewable energy and helping to minimise the electricity industry’s contribution to climate change. Meridian generate power from 100% renewable energy sources. Ecotricity – Ecotricity is a provider of 100% renewable and carboNZero certified electricity. They source renewable carboNZero Certified electricity from the Monowai, Roaring Meg, Teviot hydro dams, the Flat Hill Wind Farm and our Solar customers. P2 Power – P2Power’s customer app allows you to control your power consumption on the NZ National Electricity Grid. The app tells you when more renewable power sources are in the ‘mix’ and earn rewards for using them. Mercury – Mercury has been “climate positive” since 2017 and generate 100% renewable energy. Being climate positive means they’ve offset more emission than they produce. Ecosmart – Ecosmart offer wholesale electricity plans and solar energy. They are a great option if you have solar panels installed in your home, or they can supply and install a solar energy system. Pioneer Energy – Pioneer Energy has supplied renewable power to New Zealand communities for over 80 years. They generate energy from hydro, wind, landfill gas and wood chip fuel.